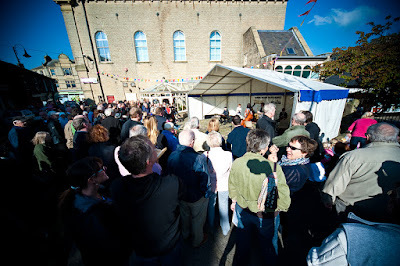 Northern Jazz News: Congratulations, Marsden Jazz Festival! The hard-working team at Marsden Jazz Festival have just completed another hugely successful festival and yesterday they received the news that the festival have a new award to put in their trophy cabinet. The festival beat off stiff competition to receive Outstanding Established Festival at the Yorkshire Gig Guide Awards. Congratulations to the team - see you in 2016!